You can search by the oil seal dimensions, then you will be provided with all possible options. 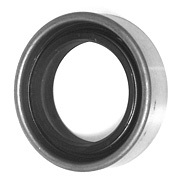 Enter oil seal dimensions, or part of its dimensions. (silicone) 80 ± 5 Excellent resistance to hight and low temperatures. Excellent flexibility and low friction. Excellent resistance to ageing,weathering and ozone. Poor tensile and tear strength. Poor resistance to low temperatures.